For the past couple of years Hasbro has released a movie themed wave complete with a build-a-figure to non-United States markets. If I had to guess this was because a lot of movie characters end up being spaced out into exclusives to stores that just aren’t easily accessible to Marvel Legends’ global audience. I don’t own this wave, but from what I’ve heard the Hulkbuster is also a darker red version of the US release. This version of Giant Man has a more silver helmet and arm-guards, as opposed to the US release with was shaded darker. There is also a difference in the color of Scarlet Witch’s flame effects. I can’t tell from the pictures, but it doesn’t look like Hulk has changed all that much. 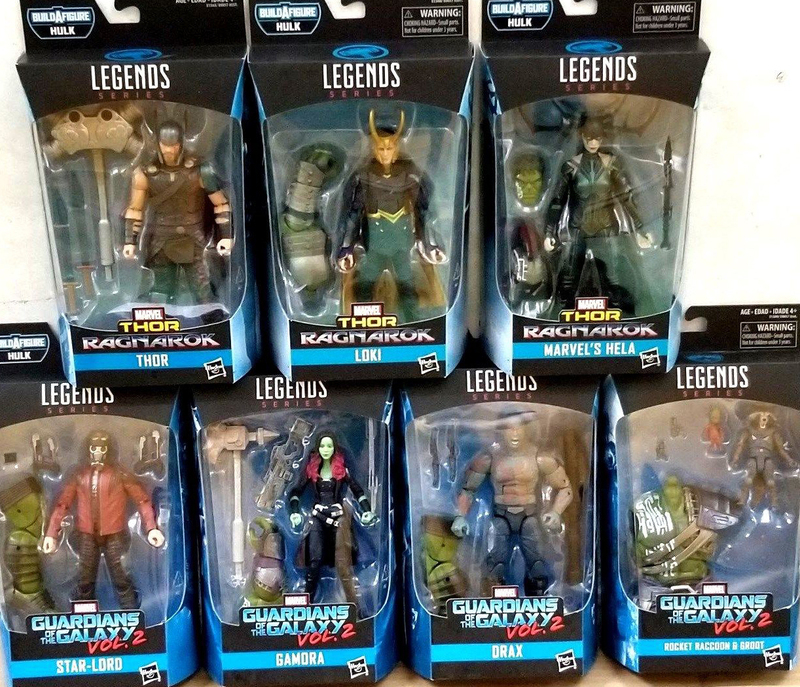 However, both Star-Lord and Hela appear to have lost their unmasked heads for this release, in addition to Rocket who only has one head visible in the box.